I love reading to the kindergarten kids. I’m not going to hide anymore, they are so excited when you read to them. There is something when you read on the floor surrounded by kindergarten students that hang on your every word and wait patiently as you pause to build suspense. There eyes open wide as they wonder what could be on the next page. Because who knows it could be anything! I can see them now smiling as I turn the page inching closer to me as I read, but trying so hard to sit criss cross applesauce. As I look forward towards the upcoming week, I know I have picked a winning book. I always test them first at home with my own kids. My son laughed at the pictures and inferred meaning from the story. My daughter noticed similarities between the book and her “super funny dad”. 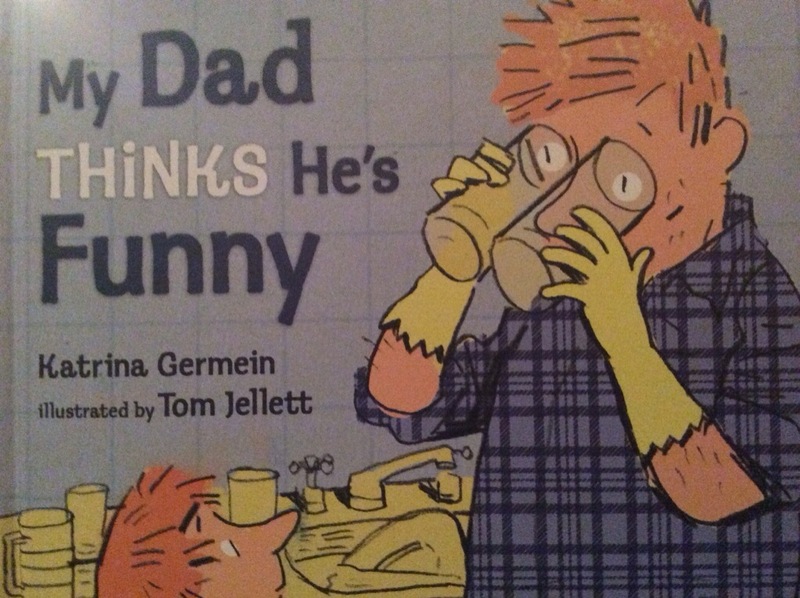 This week I have chosen “My Dad Think He’s Funny” to read to the kindergarten. It is a lovely story about how a son or daughter perceives their fathers humor. I hope they are as excited as I am….because I can’t wait! The book should be a great hit. My sister sends her fourth graders to read with the kindergarteners. Both groups benefit and lots of reading happens. I think I want to live at your school. I love reading aloud too. It should happen more than once a day in every classroom in our country.